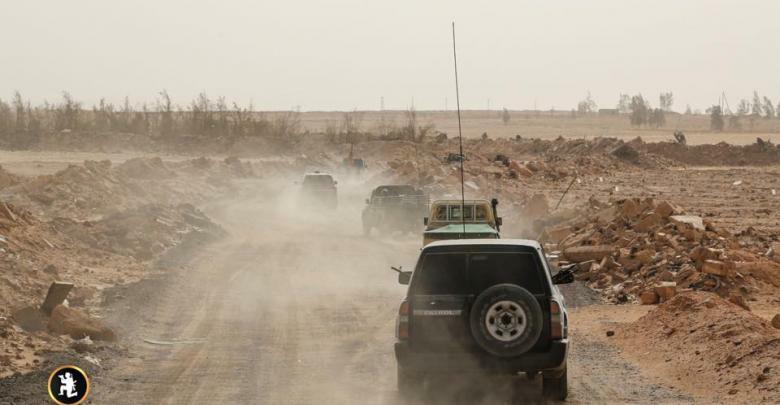 The Libyan National Army (LNA) claimed on Wednesday it took over Wadi al-Rabea, Ain Zara, and Fatima Zahra villages near Tripoli and continues advancing towards the capital. As the violent clashes continue between rival forces this week around Qasr bin Ghashir area, the LNA’s air force reportedly bombed the Tripoli International Airport, but it did not result in any damage to the airport. Sog al-Khmies area, controlled by the LNA, was shelled by military groups allied to the Government of National Accord (GNA), but it did not result in significant damages either. The LNA has also announced its advance in the Saadiya area, while Suani Ben Adem remains under the GNA’s control. Meanwhile, the U.N Humanitarian Coordinator in Libya Maria Ribeiro called on Libya’s rival forces on Monday to observe a temporary truce to allow the evacuation of civilians and the wounded from conflict areas around Tripoli.